AMHERST, Mass. 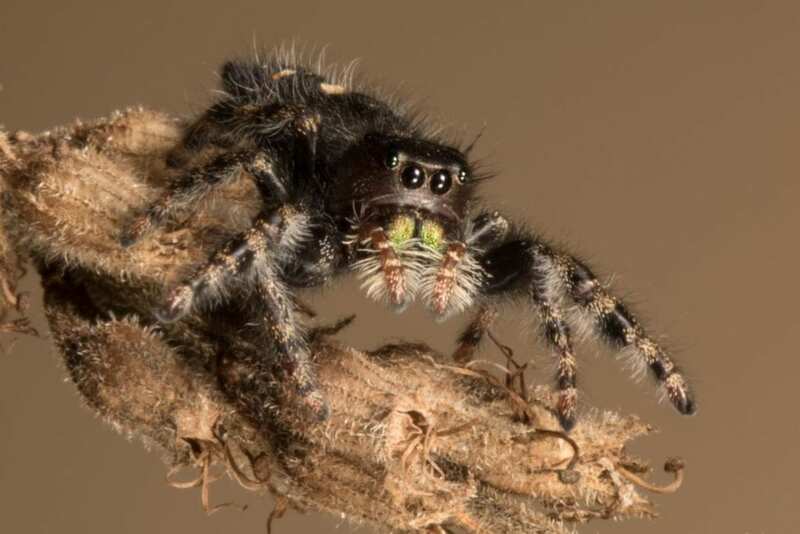 – Using a specially designed eye-tracker for use with spiders, biologists Elizabeth Jakob, Skye Long and Adam Porter at the University of Massachusetts Amherst, along with colleagues in New York and New Zealand, report in a new paper that their tests in jumping spiders show a secondary set of eyes is crucial to the principal eyes' ability to track moving stimuli. For this work supported by the National Science Foundation, the UMass team used a specialized eye tracker first created by Duane Harland and Robert Jackson at the University of Canterbury, New Zealand, and further developed by Christina Canavesi and Jannick Rolland at the University of Rochester, N.Y. At UMass, Long perfected the instrument for use in these experiments. UMass undergraduates Ashley Carey and Mary Emma Searles also worked on the project.